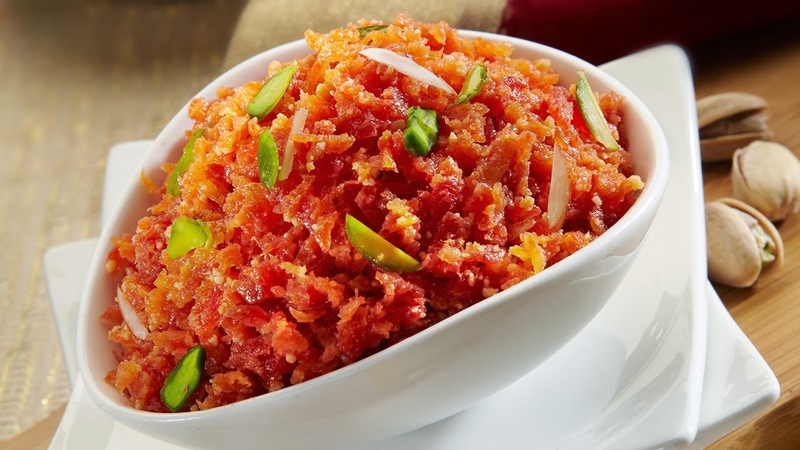 Gajar Ka Halwa is very tasty and famous Indian dish. Its is most;y famous all over.Here Iused a both of milk and khoya to make this tasty Dessert dish. I have prepared it in a microwave and a pressure cooker. Here a simple and easy steps to make it. Mix grated carrots, sugar and milk in a big deep bowl. Microwave covered for 10 minutes. Add a ghee and khoya. Mix well. Add cardamon and chopped nuts. Add a milk and a carrot in a pressure cooker and cook for 1 whistle. Now open a cooker and cook continuously on high flame till the milk evaporate. Once a milk evaporate, add a sugar and cook on medium flame until the mixture became thick. Now add desi ghee and khoya and cook for 3-4 minutes. Now add a cardamom and chopped nuts.